The Begin family, Robert, Nadine and daughter Marie-Chantal, opened the doors of Chateau Chantal in 1993 upon the completion of a French style three room B&B, winery and vineyard estates. The winery and B&B has since undergone a 15,000 square foot expansion which increased the total rooms available to eleven. 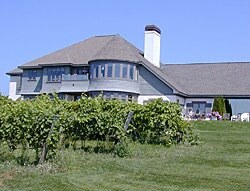 Located on a 65-acre estate on Old Mission Peninsula, in one of the most scenic areas of the Great Lakes, Chateau Chantal offers a unique Old World experience that combines vineyard and winery, B&B lodging and friendly company, all in a relaxing rural landscape featuring breathtaking views, local beaches, trails and quiet country roads. 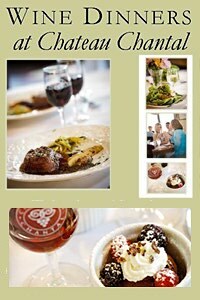 Our B&B guests enjoy exceptional amenities. From cozy rooms to spacious suites, featuring views of vineyards and fresh water, terrace or balcony, wet bar, whirlpool tub, high ceilings, and elegant furnishings. The inn itself offers fireplaces and sitting areas, ample breakfasts and attentive front desk staff. Chateau Chantal was established in 1983, when cherry orchards were replaced with grafted vinifera grape vines – the same species of wine grape grown along other parts of the 45th parallel in the Bordeaux region of France. Acreage is planted with Pinot Grigio, Chardonnay, Riesling, Pinot Noir, Gewurztraminer, Cabernet Franc, Merlot, and Pinot Meunier. Wine grapes thrive in the unique micro-climate characteristic of this enviable area of the State. Our handcrafted wines are produced under our winemaker’s meticulous supervision from vineyard to bottle. Perched high on a hill on the Mission Peninsula, just a few miles from downtown Traverse City, Chateau Chantal is one of the most romantic and luxurious places to stay, especially for wine-lovers. 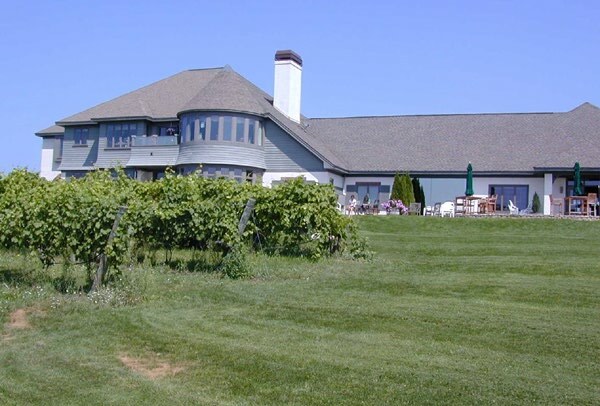 With sweeping bay views on every side, the 65 acre property is a full-service winery, tasting room, event space and hotel that offers 11 rooms.